Many people use wheelchairs, which can restrict their mobility in their homes. If you live in a multi-level home and use a wheelchair, you would not be able to access every area of your home. With the help of one of our platform stair lifts from Indy Stair Lifts, you will be able to travel to any floor in your home while you are in your wheelchair. A platform stair lift is a safe, stable, and easy way to transport you while using a wheelchair or motorized scooter. 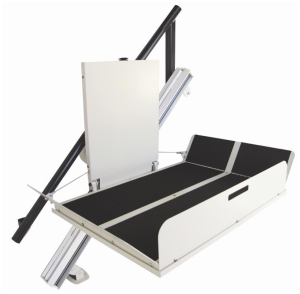 You will feel safe on one of our platform stair lifts because they come with ramp obstruction sensors, over speed governor, and non-skid surfaces. 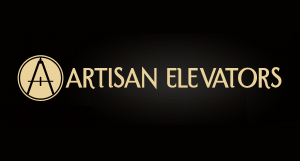 Our platform lifts have front and back ramps that fold up and down for easy on and off access. At Indy Stair lifts, our platform stair lifts work just like our chair lifts. They use a track to help you travel up and down a staircase in your home. The platform is large enough to hold a wheelchair or motorized scooter, but does not take up too much space on the staircase. When you are not using the lift, the platform folds up and only protrudes 12 inches from the wall, allowing the staircase to still be used. Our platform stair lifts will give you the freedom to get to any floor in your home and allow you to stay independent. You will regain your mobility and never be restricted in your home because of your wheelchair ever again. We also offer an outdoor model for those who need help getting up a staircase outside of your home.